But that does mean GSC is hard at work preparing for all the events! Summer might be coming to an end, but the festivities are only just beginning! This weekend marks the start of two events – with another coming up in September! And this is the Kyubey Curry! Each curry comes with a pin badge as an extra, and only costs 800JPY! This year will also have Black Rock Shooter Shaved Ice! Just like there are two different versions of the BRS game, there will also be two different versions of the shaved ice! Last year it was so popular that we ran out of syrup! The day is scheduled to be a hot summer’s day, so do stop by and cool down with some ice! The GSC newcomers will be doing a live broadcast! And this time they are in charge of the planning and script as well! I had a look at the script a little back and it looked like a very fun performance, so do tune in for the broadcast! @ Makahari Messe, International Halls 1,2,3. We are rushing into the last few events of the Summer! Good Smile Company and Max Factory will be attending this year’s Charahobby 2011! New figures will be on display, there will be a Madoka Magica and Black Rock Shooter THE GAME corner, and various things will be on sale for those who attend! If you order one while there, you can grab these coasters and mini-stickers as well! These come in both purple and pink! 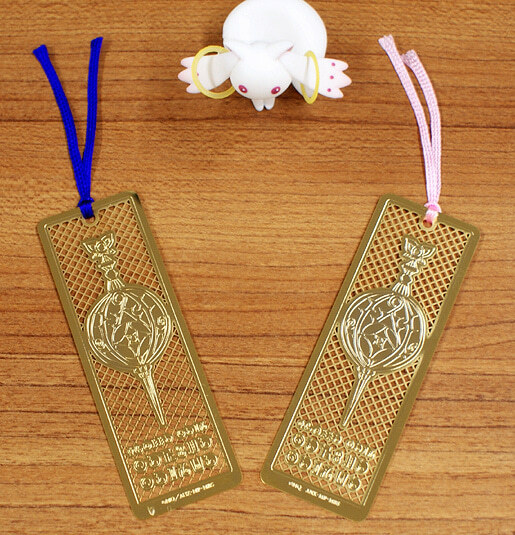 The etching looks absolutely gorgeous, and they cost just 800JPY each! There are also thermal cups! The one on the left is the Puella Magi version, and the right is the witch version – pick which one you want and keep your drink hot or cold for longer! – They will sell for 1500JPY! Original Tin Badges – Set A & B! Above QB is the A set, below him is the B set! They’re both very cute… but I think I’d pick A for the Mami-san! Original Tin Badges – Set C & D! Above QB is the C set, below him is the D set! Each of these sets will sell for 1500JPY. Do take not of the following though! * The Madoka Magica Cage special menu and official goods will be sold at Chara Hobby 2011. * These goods will not be sold at the Animelo Summer Live 2011 event taking place on the same day. * The Kyubey in the photos is the one included with Nendoroid Madoka, and isn’t part of these sales. A collaboration between Good Smile Company and the word famous rock band, Linkin Park!. The event will be held at Roppongi nicofarre and part of the proceeds from the event will be donated to relief efforts in Eastern Japan. You can come by to the event itself (numbers are limited, however), or watch a part of the event from Nico Nico! Be sure to check it out! These goods will be on sale at the event! Ooh, very stylish designs, as expected from Linkin Park! I really want the BE@RBRICK! All goods sold at the event will be raising money that will be donated to relief efforts though Music For Relief! The Music For Relief official website (http://www.musicforrelief.org/) is also accepting donations at anytime! You’re too kind, Linkin Park! I’m not sure if these will be announced at the event or not, but keep your eyes on the official website! And that covers all the events that are coming up! And it seems like there are still a couple more coming after these as well! 😛 When there is more info about them it’ll be up on the GSC site, so watch out for it! Anyway that’s all for today! I hope I’ll get to see some of you at the event tomorrow! Otherwise I’ll see the rest of you later on the interwebs!